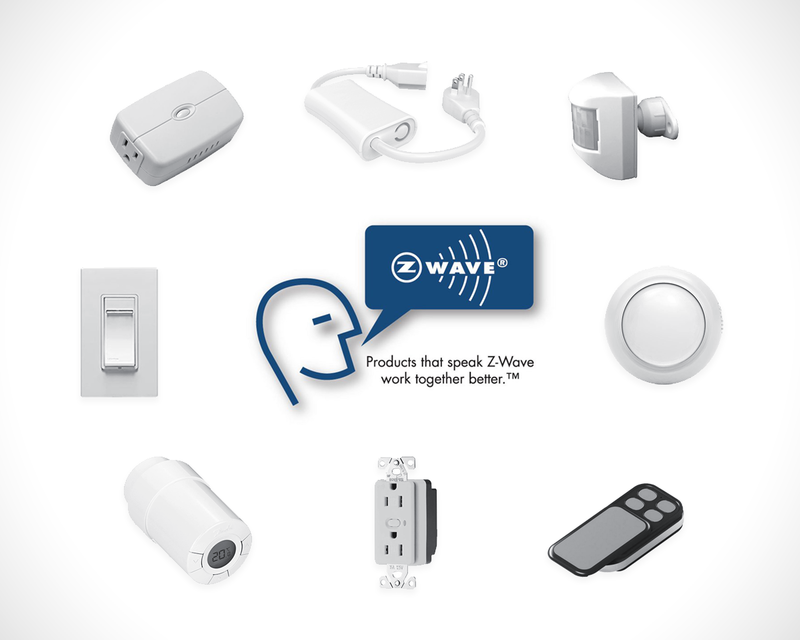 With the use of the Zwave mesh network; devices such as thermostats, door locks and light modules can be added to the open platform to remotely control and set rules to extend the security panel. These devices make for a convenient experience. When armed on away mode the temperature will decrease to a set temperature and the opposite when disarmed the system would turn heat or A/C on to either a specified set point or return to schedules. In the event of a fire alarm the HVAC system would not turn on fueling Oxygen to the fire and spreading it rapidly. While doors and windows are open the HVAC system would be put on hold until the zones are closed to prevent energy loss. Overhead door controller hubs allow remote access to trigger the door open and closed. 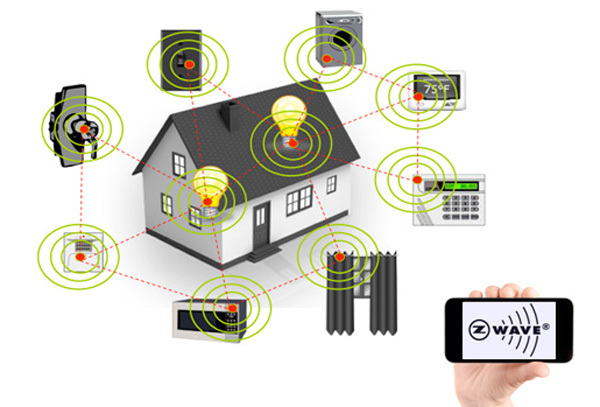 In the big picture; the system will notify its user that the door has been left open and, with the hub, users will operate the door closed to secure the home. Also the benefits of being able to remove the remote buttons from the vehicles so if the car is compromised criminals will not have access to the home. Users then use the app to open the garage overhead door when arriving home.